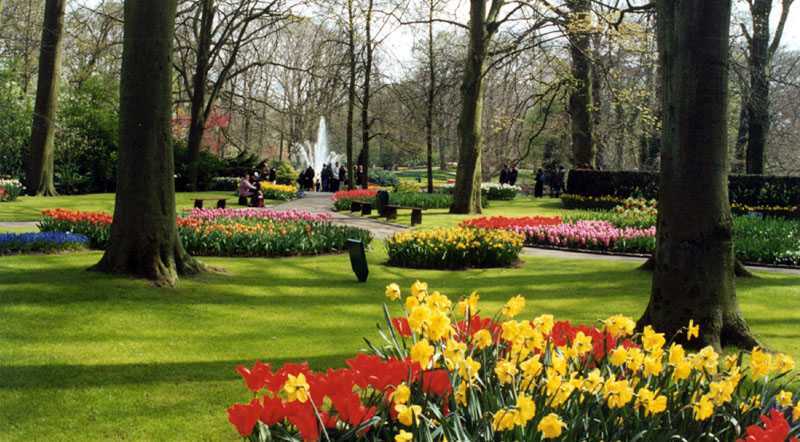 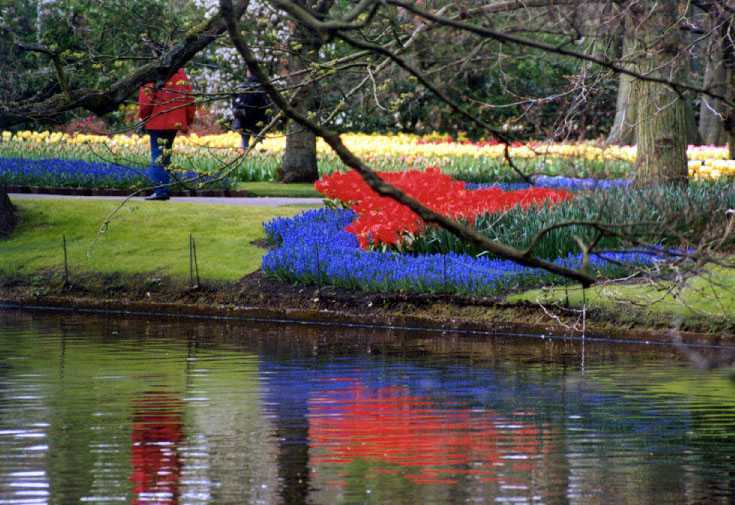 From mid-March until mid-May, the gardens of Keukenhof are blooming and open to the public. 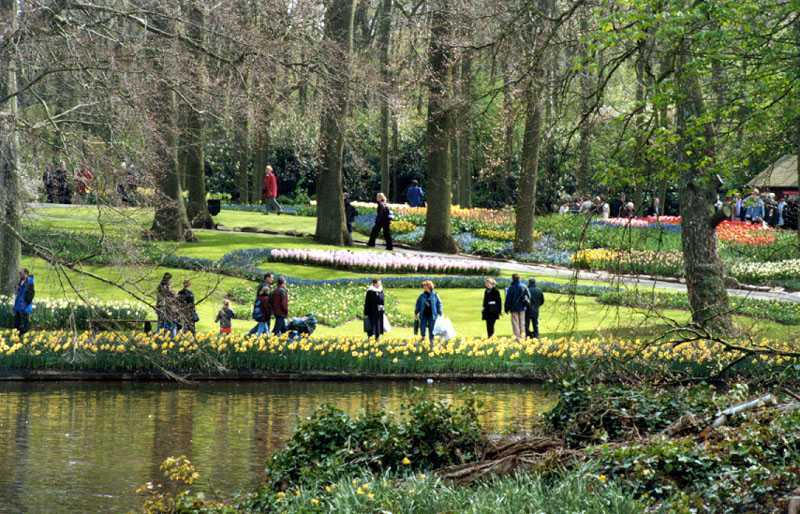 Throngs of people come to see the tulips in bloom. 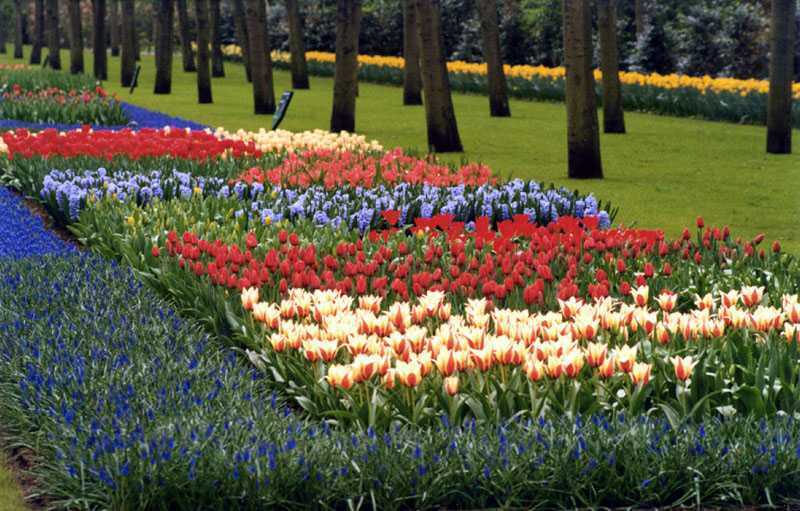 Even the journey to Keukenhof is beautiful as you pass by fields carpeted with amazing colors. 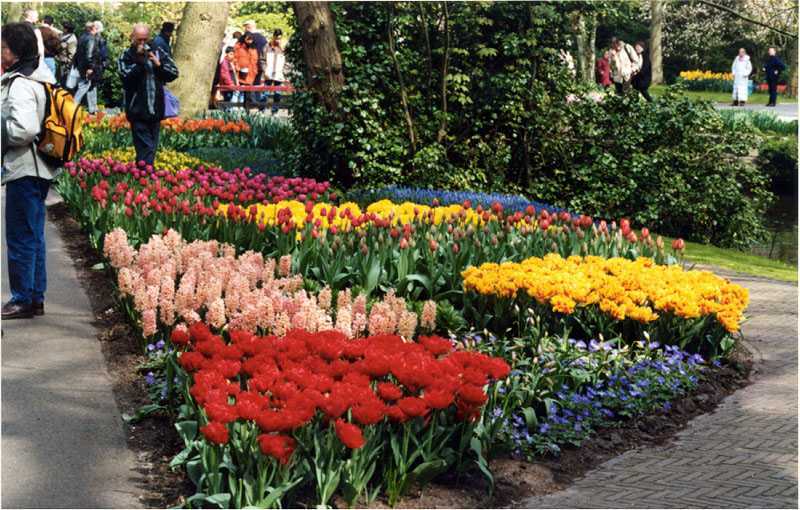 And, if you want to buy tulips to take home with you, there are several roadside stands selling tulips for about 5 Euros per 3 or 4 dozen. 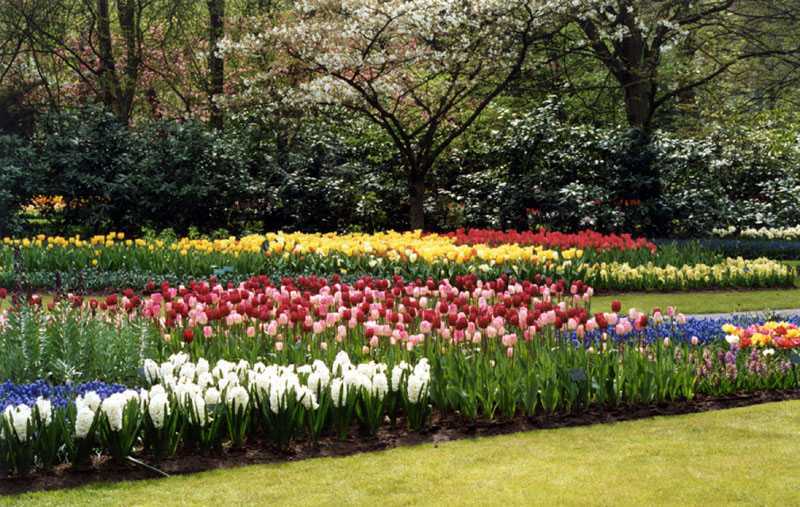 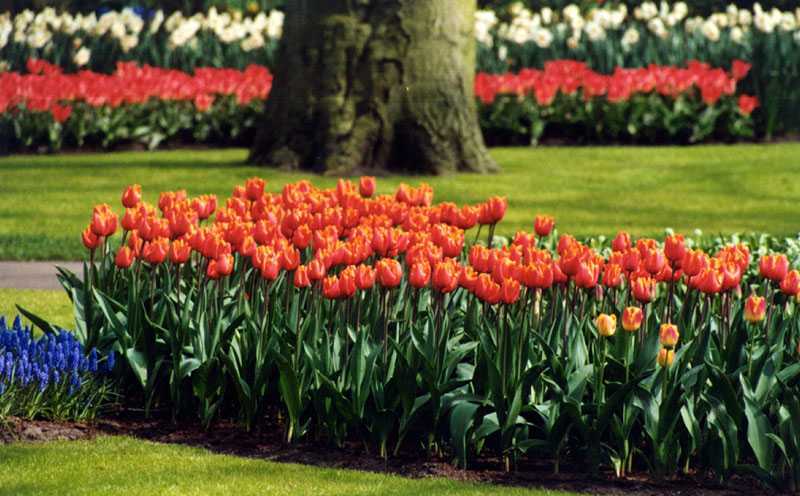 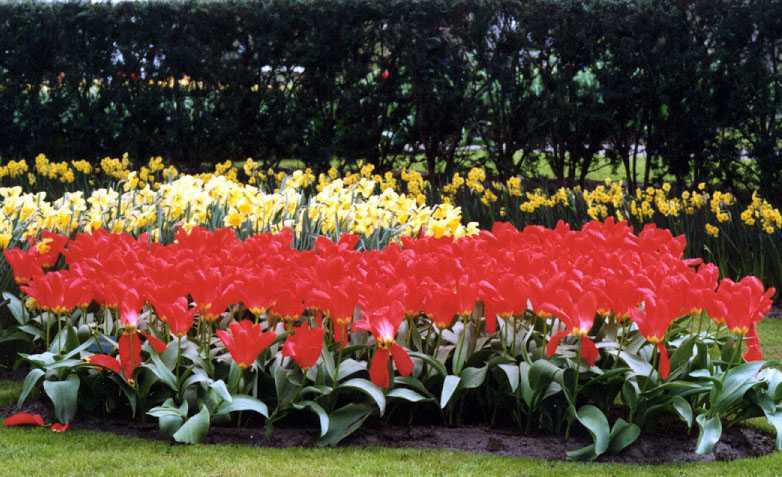 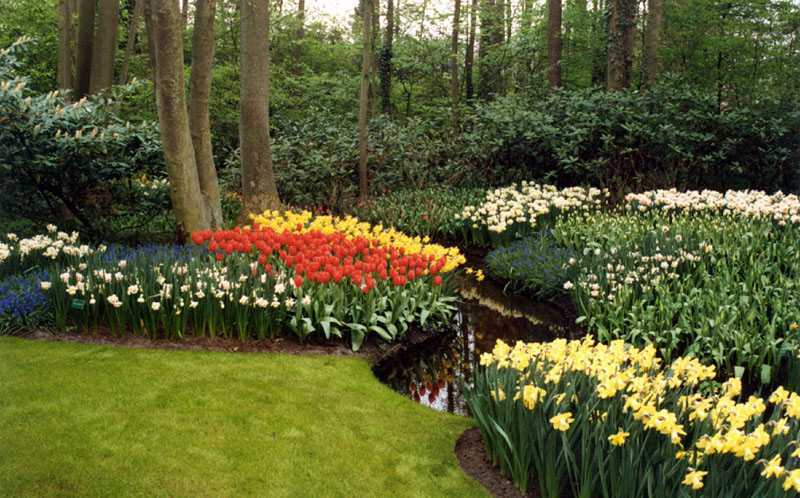 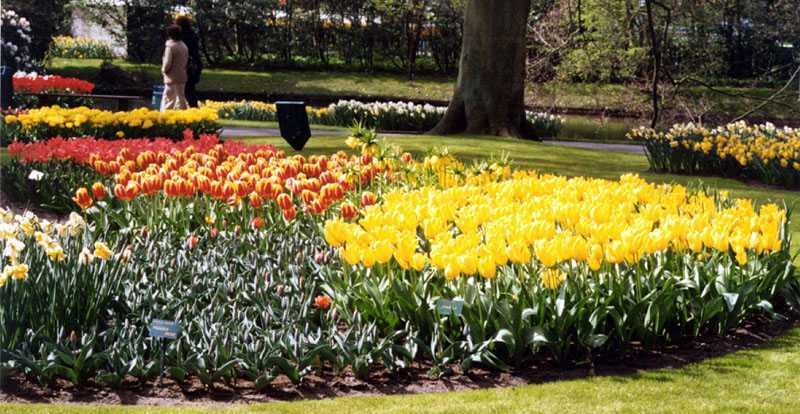 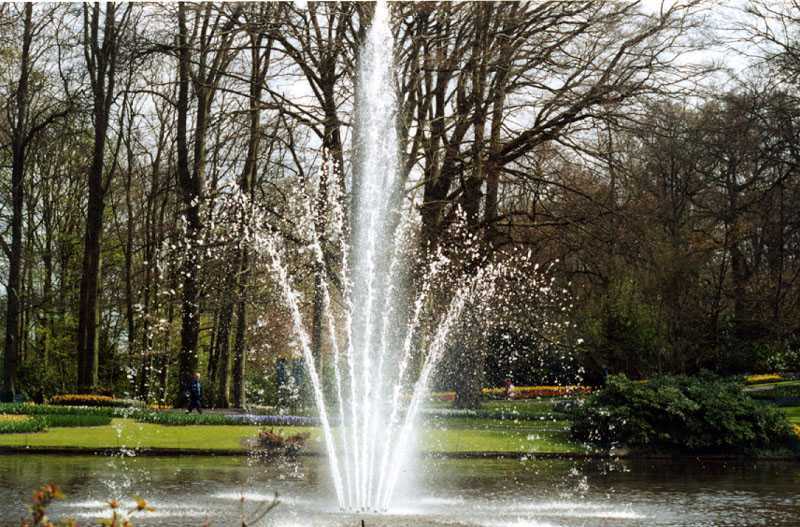 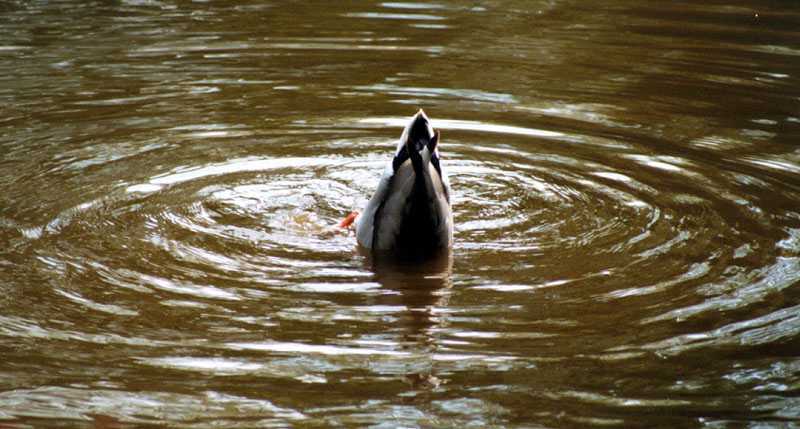 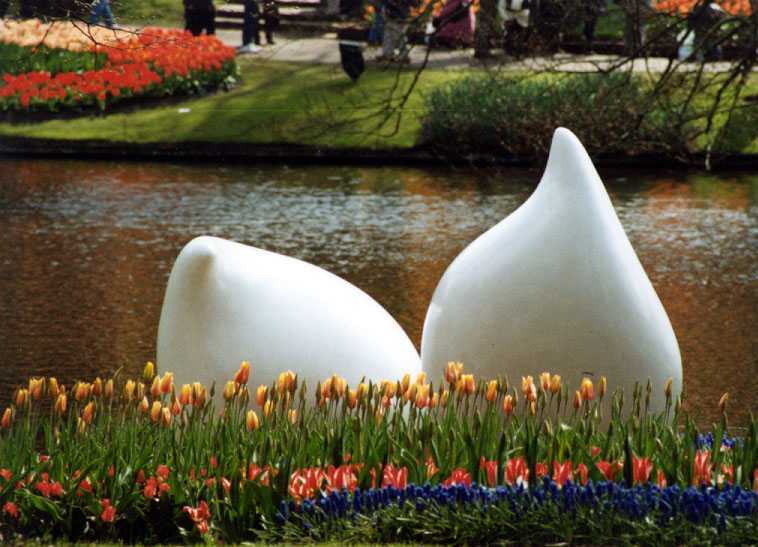 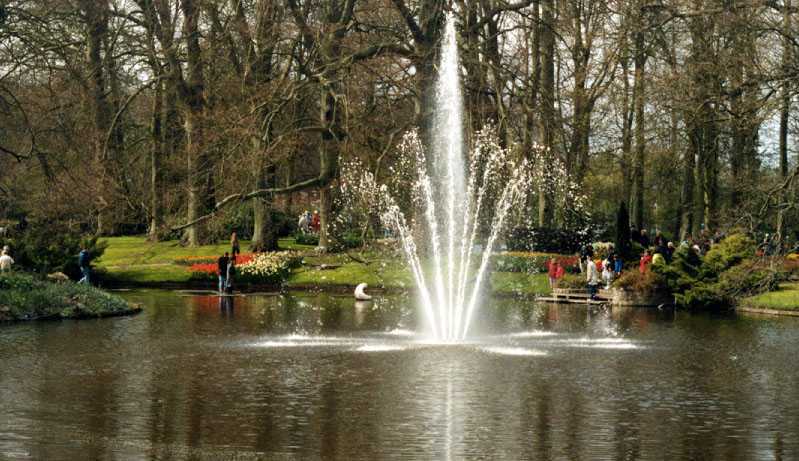 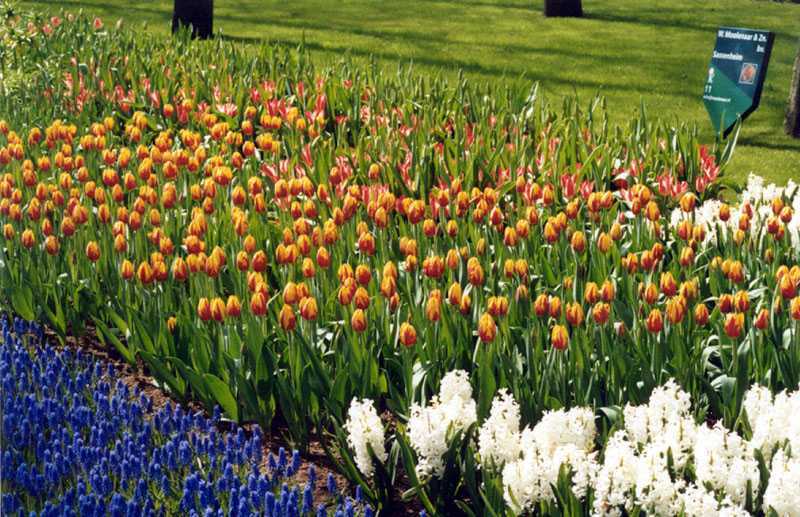 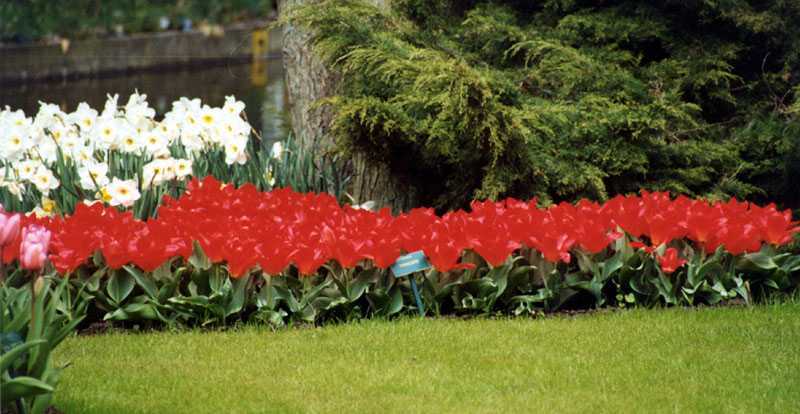 Beginning in 1949, Keukenhof became an open air museum for flowers. 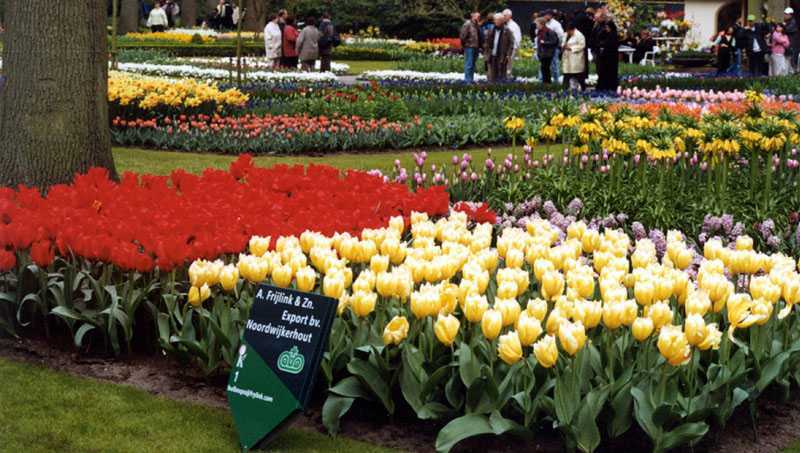 That year, 40 businesses joined together to create Keukenhof. 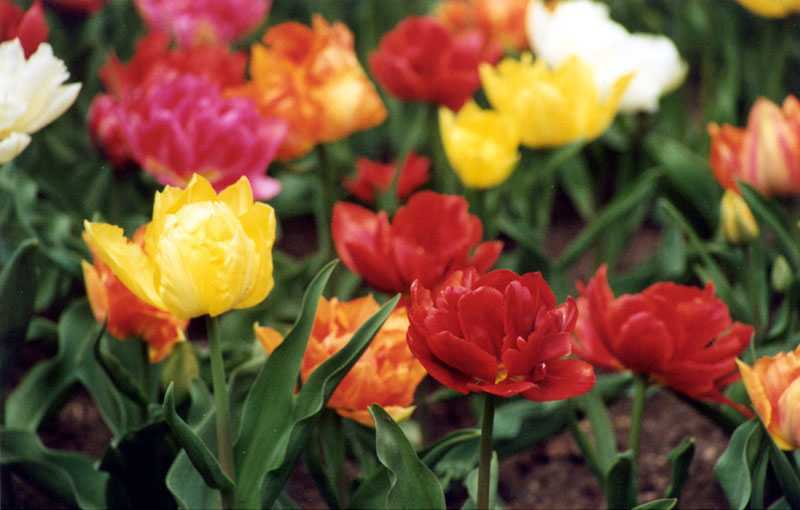 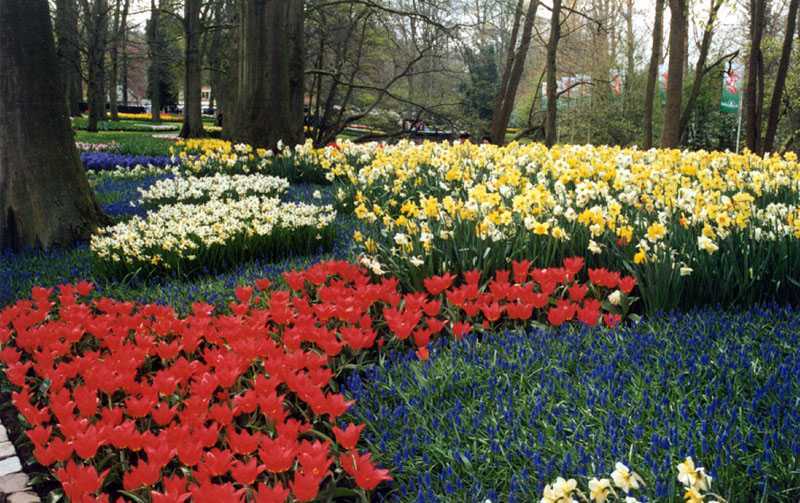 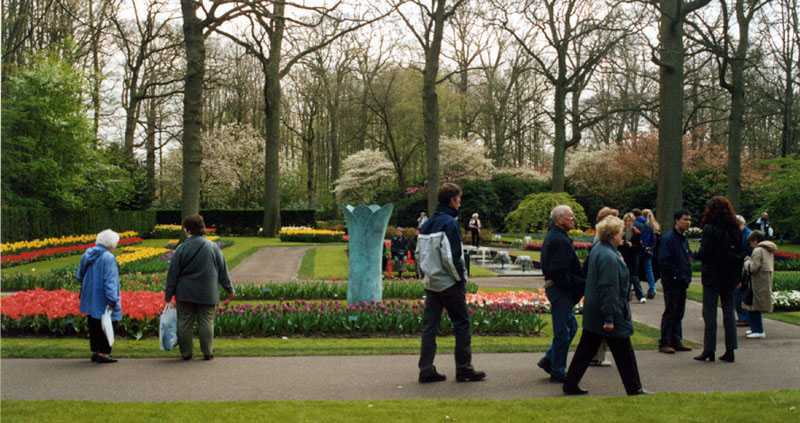 This year, 2002, 92 businesses came to create Keukenhof's exhibits. 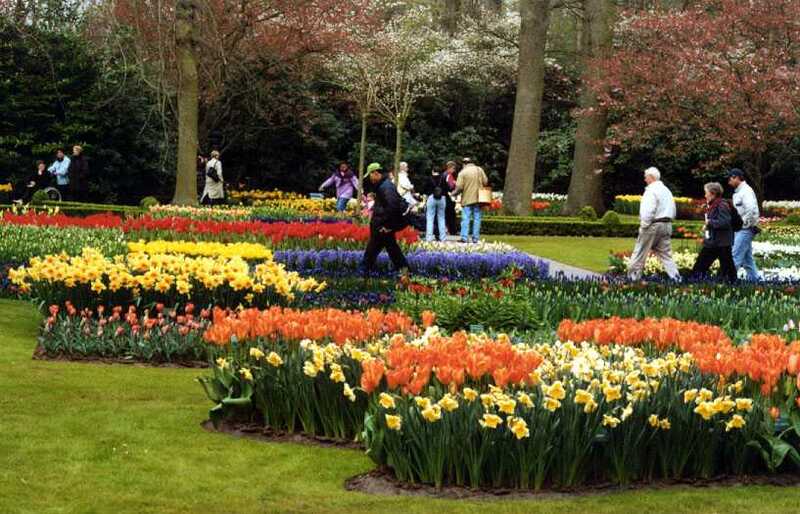 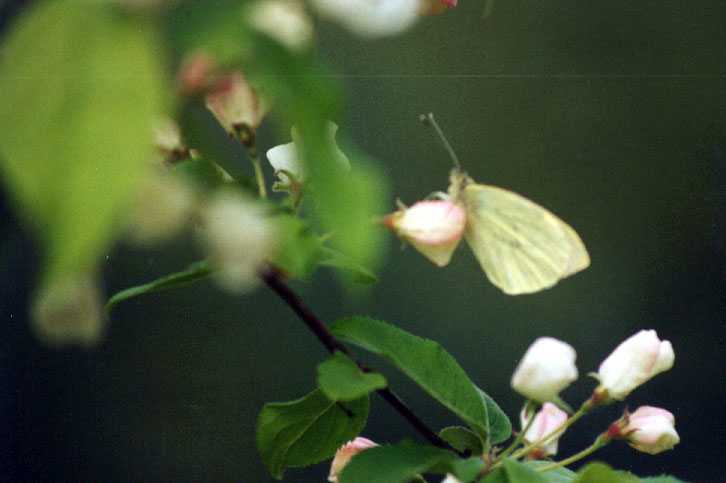 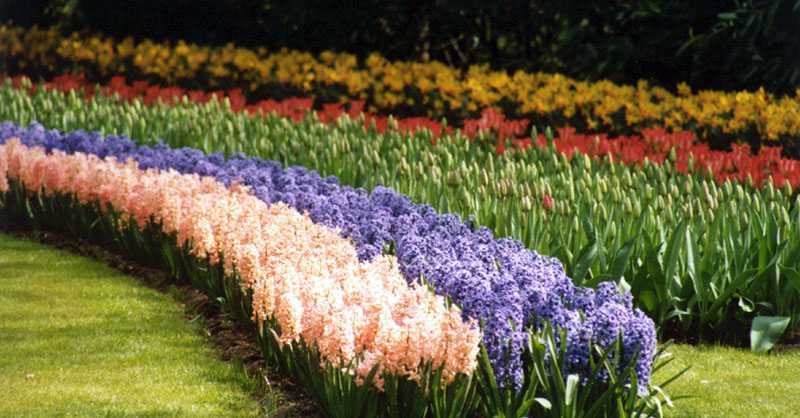 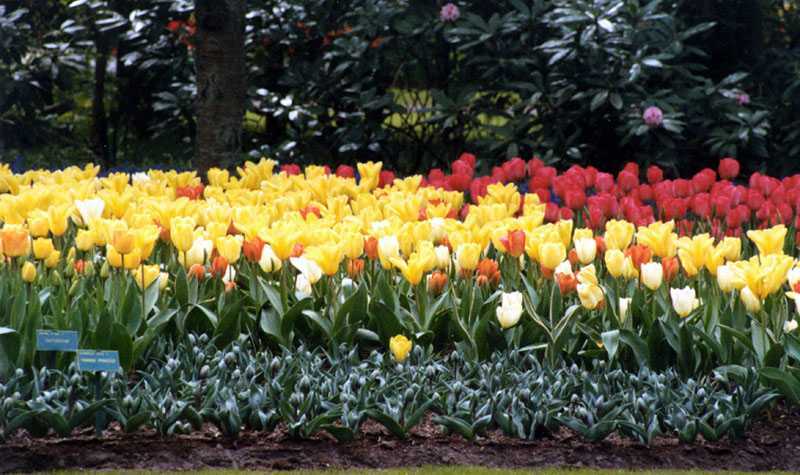 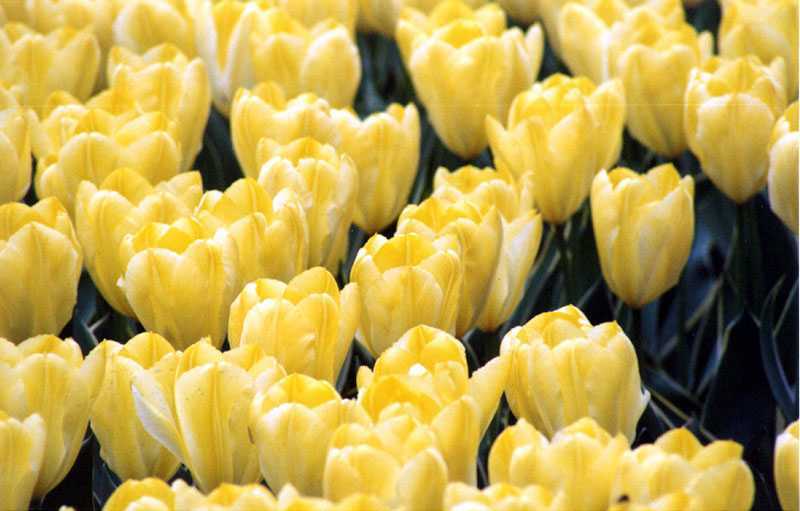 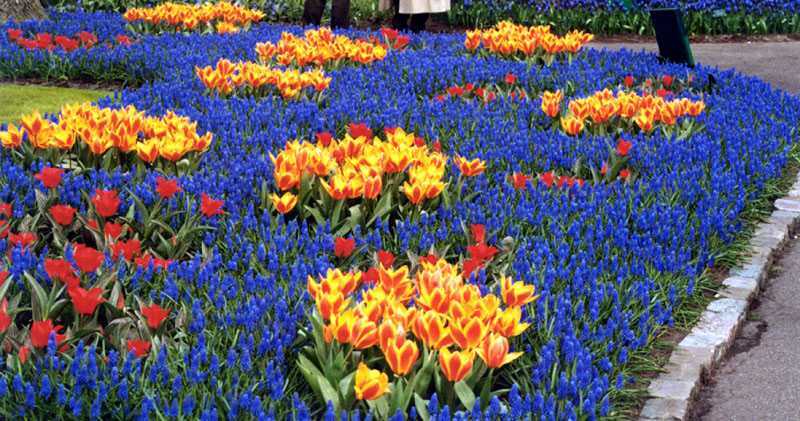 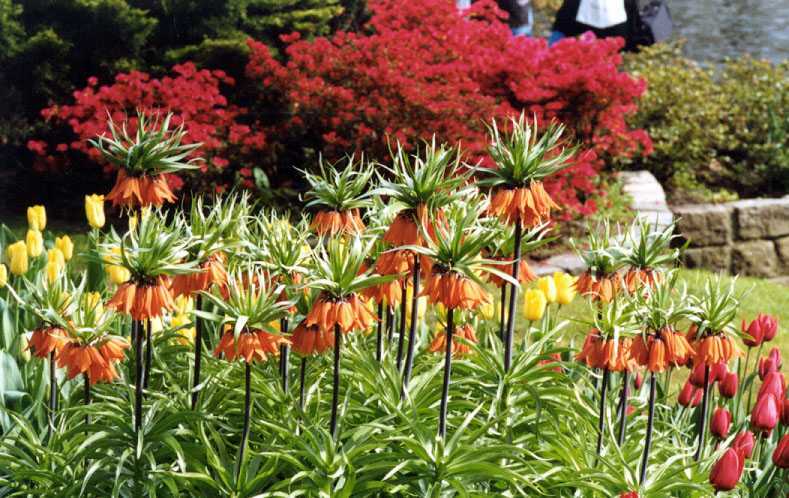 And, it's not only tulips on display, you'll find daffodils, hyacinths and other flowers. 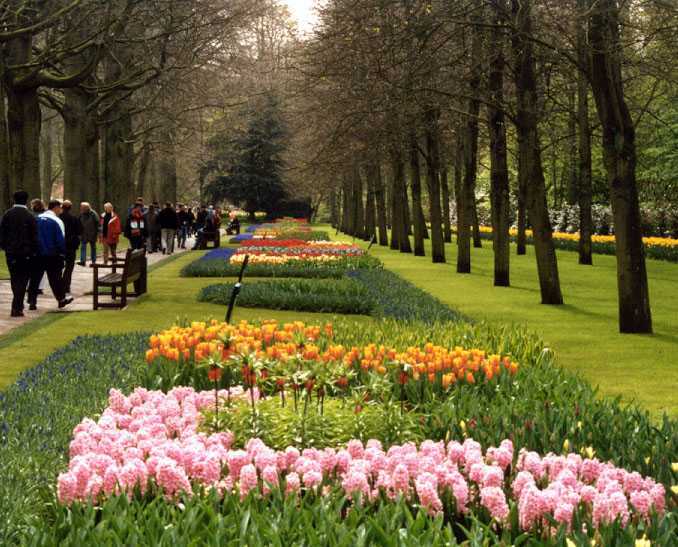 Also, you won't want to miss the rose, bonzai, and orchid pavilions. 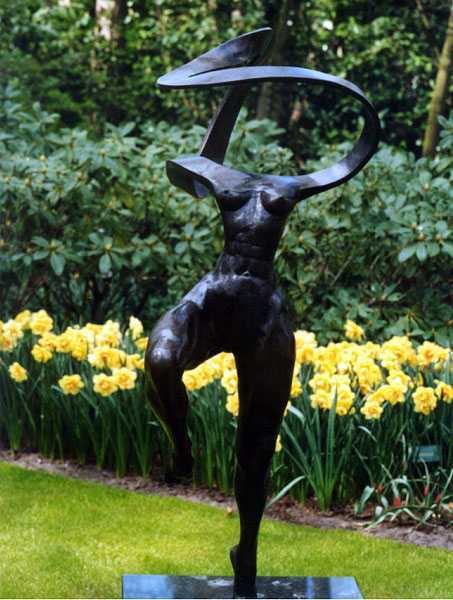 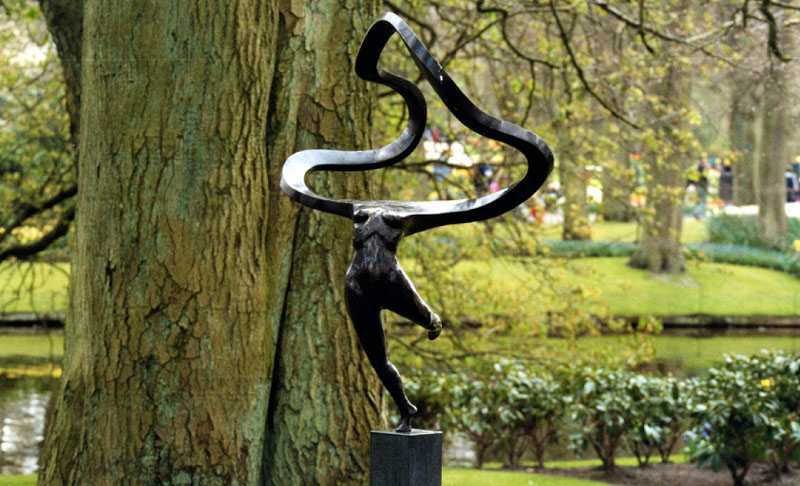 There are also amazing sculptures within the grounds as well as the required windmill. 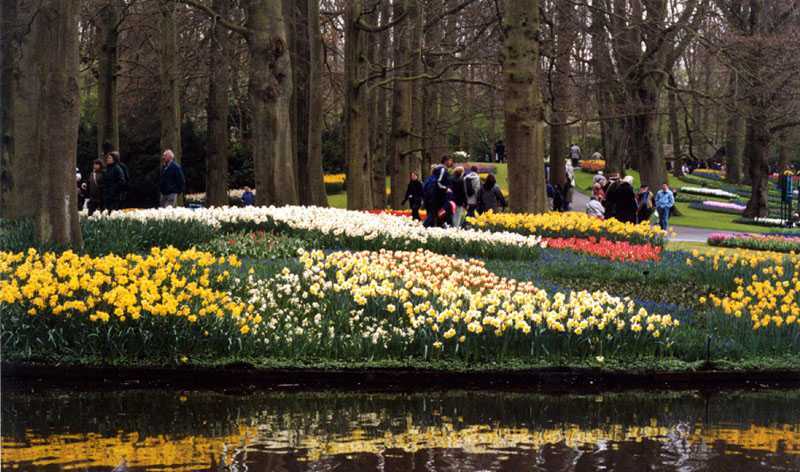 If you want to do it all in one day, go to Keukenhof on the same day as the Bloemencorso (flower parade) which will pass through Lisse. 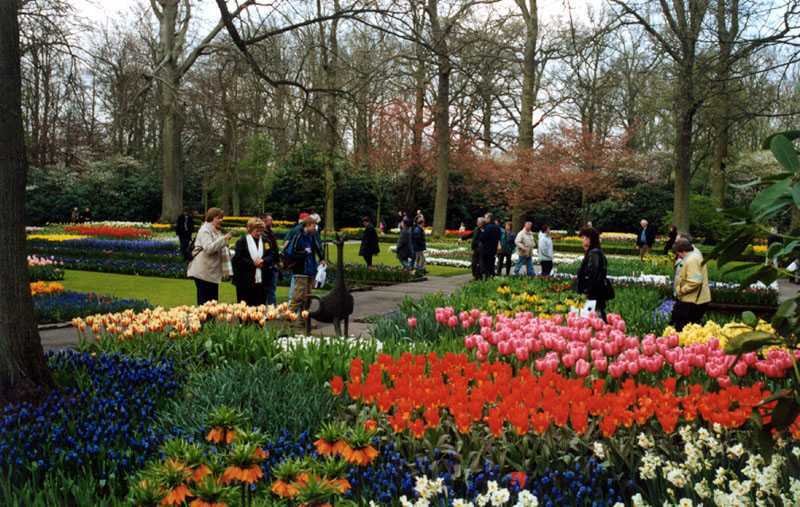 You can go to Keukenhof in the morning, leave to go see the parade around 2pm, then return to see more of Keukenhof. 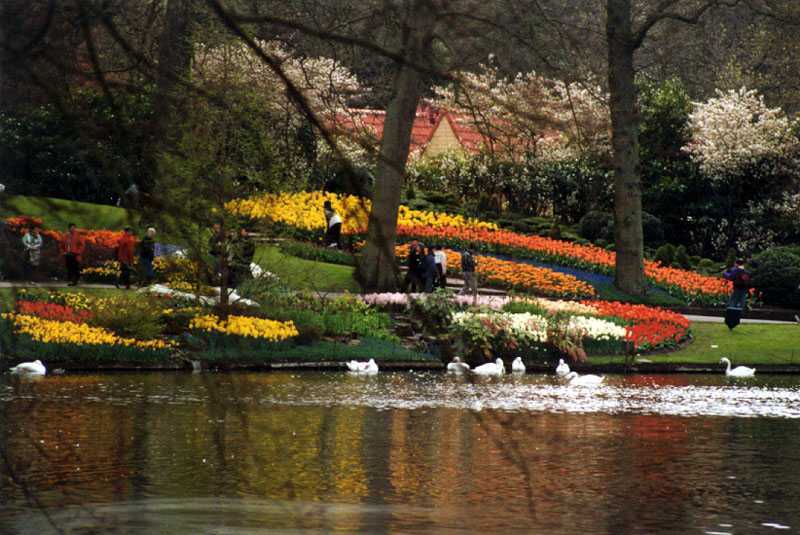 The Bloemencorso is usually the third Saturday of April. 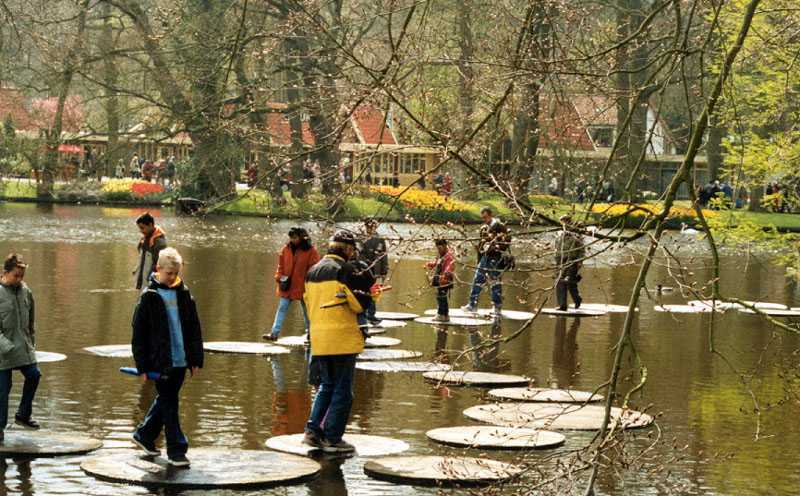 If you go on this day, be sure to be prepared for the crowds. 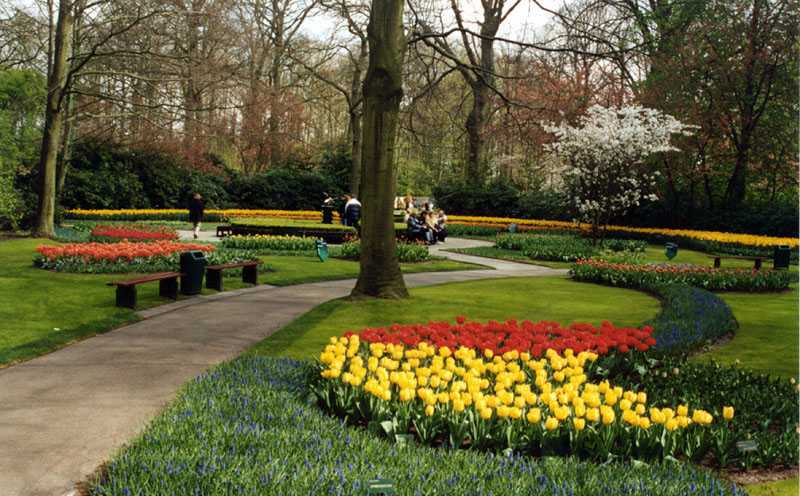 We went to Keukenhof via public transport. 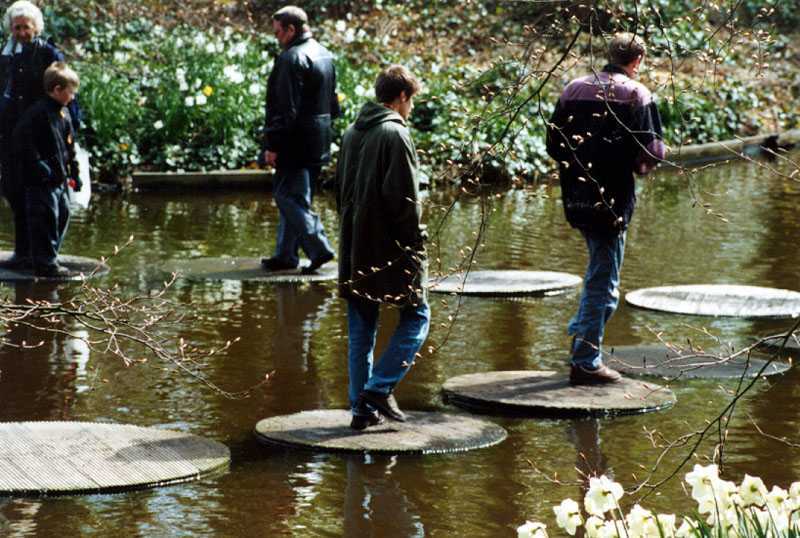 That works out very well. 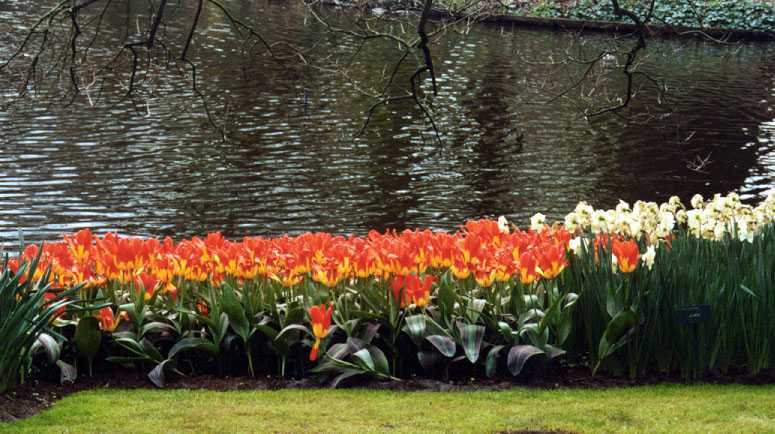 Take the train to Leiden Centraal. 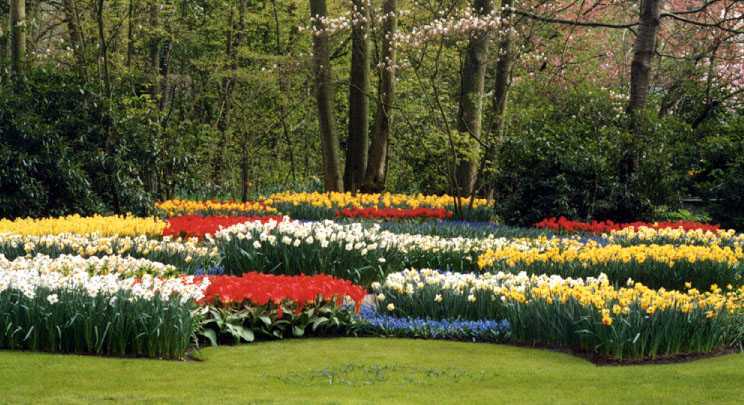 From there, you can take Bus number 54 to the Gardens. 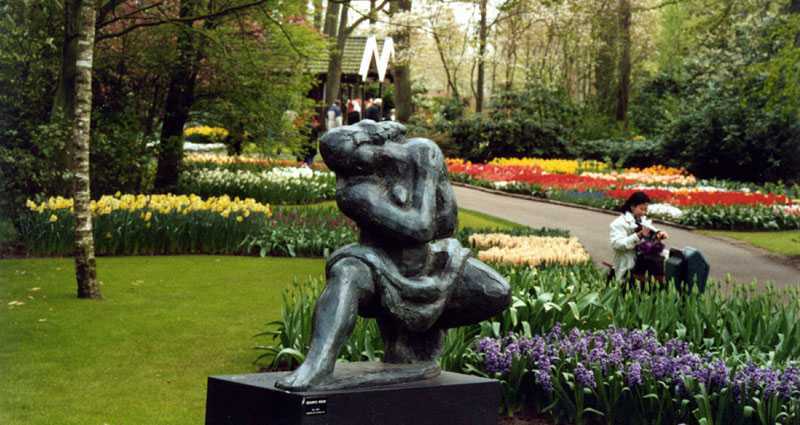 You can buy tickets for both the bus and the gardens in Leiden Centraal.